Floxin is an antibiotic medication prescribed for treating bronchitis, pneumonia, chlamydia and gonorrhea. Floxin works by entering the bacterial cell wall and limiting the production of an enzyme that is vital for the survival of the bacteria. 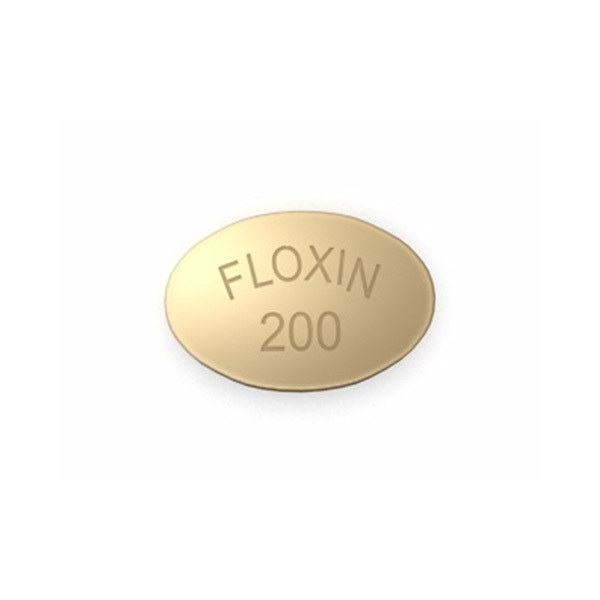 Floxin may be used with or without food. How & where do I store Floxin? Floxin is known to cause drowsiness or dizziness. Your vision may be blurred and your judgement affected if you consume alcohol with this medication. So, avoid using alcohol while using Floxin. Floxin is an antibiotic that is effective only in the treatment of bacterial infections. It will not be effective against viral infections like cough and cold. Antibiotic treatment must be monitored closely by doctors because prolonged treatment increases the resistance of the bacteria against Floxin. A future bacterial infection becomes severe and difficult to treat. Floxin is categorized under FDA pregnancy category C.
Diarrhea, dizziness, headache, loss of appetite, nausea, sensitivity to sunlight, trouble sleeping, vomiting. Severe allergic reactions (rash, hives, itching, difficulty breathing, tightness in the chest, swelling of the mouth, face, lips, or tongue), agitation, anxiety, bizarre behavior, bloody stools, confusion, convulsions, dark urine, decreased urination, depression, diarrhea (severe or continuing), difficulty swallowing, excessive urination, thirst, or hunger, fainting, fast or irregular heartbeat, fatigue, fever, chills, or unusual cough, hallucinations, hoarseness, joint or muscle pain or swelling, lightheadedness, loss of consciousness, mental or mood changes, nervousness, nightmares, pale stools, red, swollen, blistered, or peeling skin, restlessness, seizures, shortness of breath, shock (pale skin), sleeplessness, severe or persistent stomach pain/cramps, suicidal thoughts, tendon pain, inflammation, or swelling, tightness of the throat, tingling, tremors, unusual bruising or bleeding, unusual tiredness or weakness, urination problems, vaginal irritation or discharge, yellowing of skin or eyes.